Two innovative new degree options give students an opportunity to earn an associate degree online or in only 18 months at Northeast State Community College. Beginning this fall semester, college ready students will have the opportunity to complete an associate degree in General Studies over four fall and spring semesters in a fully online setting. The online option requires students to visit a campus for weekly lab meetings for the biology courses and exams proctored on the Blountville campus. The fully online degree path gives students full-term classes over four semesters. The A.S. General degree consists of 60 credit hours transferable to any Tennessee Board of Regents two- or four-year institution. Students opting to register for the fully online classes can register through My.Northeast, receive financial aid and take classes in other formats – ITV or classroom sessions – as needed. Online courses offered through Northeast State are staffed by Northeast State faculty members; students are charged no additional fees to enroll in online courses. “The proximity and availability of our professors to the students is a major asset to our online degree program,” Ramey said. A second new degree option available open to students this fall is the 18-month A.S. General program. 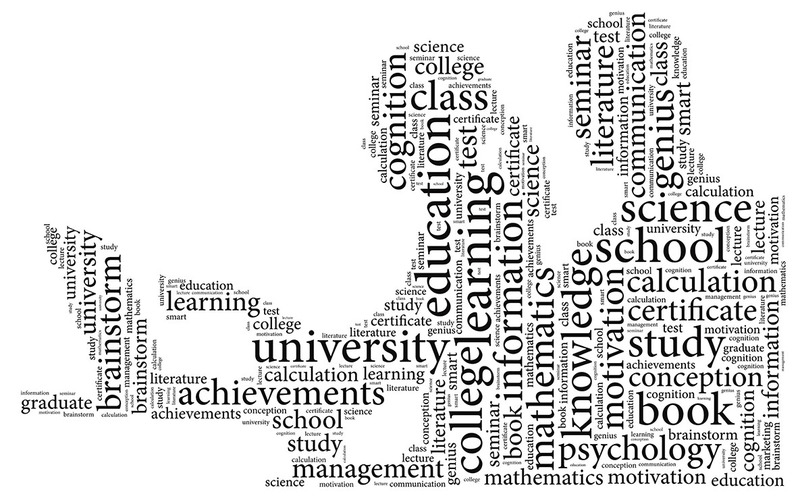 Students opting for the accelerated path take one course at a time except when required by the program to take two courses. Each student meets with the Cohort Advisor to discuss his or her progress in the program. Students must attend in-class meetings. In addition, the program requires that students sign an agreement indicating they have discussed all details of the program with the Cohort Advisor. “The accelerated degree program requires a student to dedicate at least 45 hours per week to class work,” said Ramey. Students attend intersession classes which are three-and-a-half weeks in duration. Terms 1 and 2 last seven weeks each, and a full summer session lasts ten weeks. The program needs a minimum of 25 students enrolled this fall. If the cohort is postponed, enrolled students can register for the same courses in online or traditional class formats. The accelerated path was designed specifically for non-traditional college students who meet admissions requirements and adhere to the stipulations of the program agreement. The accelerated option is not designed for students requiring Learning Support classes. For more information about these new degree paths, visit the Evening and Distance Education web page http://www.northeaststate.edu//Campuses-and-Distance-Education/Evening-and-Distance-Education/ or email jmramey@NortheastState.edu. The Emerging Technologies Complex project at the Blountville campus moves forward with construction site preparation beginning April 3. Student parking lot southeast of the basketball/tennis courts. 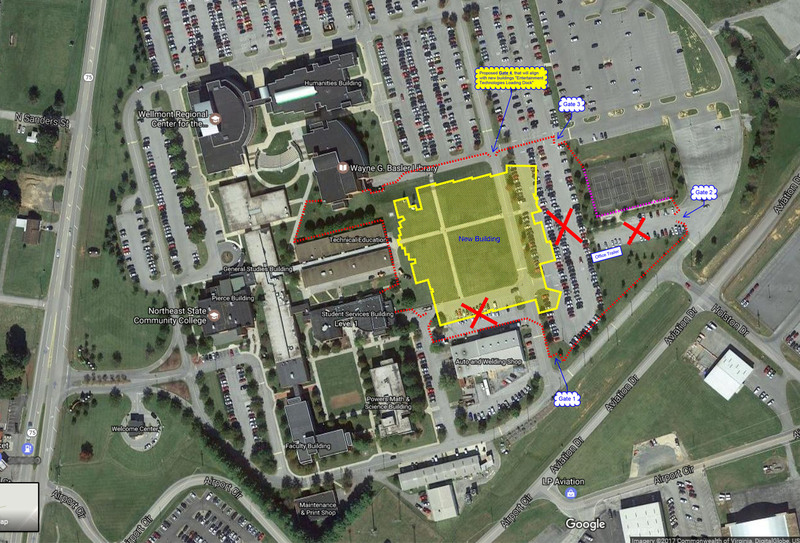 The yellow outline on the map below projects the size of the new technology complex. The dashed red line on the map displays where the barrier fence will be placed and which parking areas will be affected. Overflow parking lots are available at the northeast area of campus. As parking areas are going to be condensed, students and staff will be required to walk around the fenced construction area. Students and staff should prepare for significantly increased pedestrian traffic in parking lots and around buildings. Students, faculty, and staff are strongly encouraged to drive with caution while the construction project is underway. For more information, contact the Northeast State Police Department at 423.323.0255 or visit http://www.northeaststate.edu/Campus-Resources/Campus-Police/. 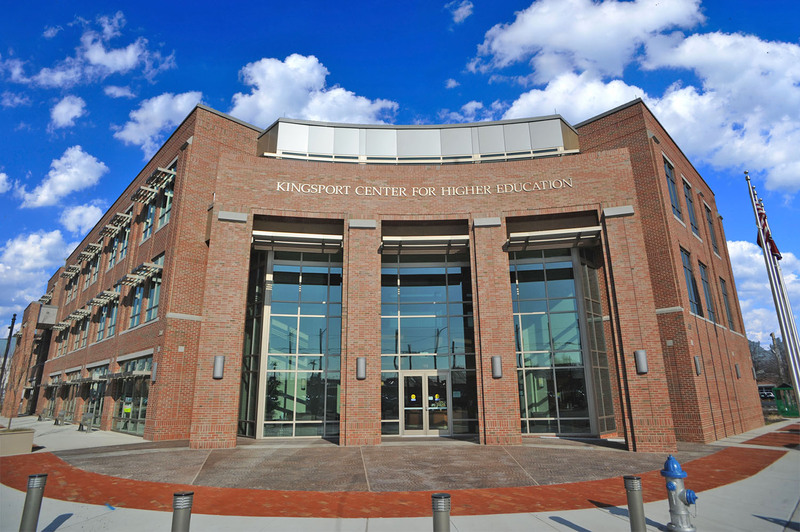 Northeast State invites the public to learn more about returning to college at an Information Fair scheduled March 28 from 6:00 p.m. to 7:00 p.m. at the Kingsport Center for Higher Education, 300 W. Market Street, downtown Kingsport. The College’s Office of Enrollment Services hosts this free informative session for adults as well as younger students seeking a college degree or certificate. Northeast State representatives from the offices of Admissions, Financial Aid, Scholarships and Veterans’ Affairs will be on hand to answer questions. Fair attendees can meet with staff and learn more about the College and Tennessee Reconnect. Northeast State’s Phi Theta Kappa chapter recently earned special recognition for achieving a 17 percent membership acceptance rate in 2016. The honor, known as a REACH Reward, recognizes chapters that excel in membership development with at least a 15 percent acceptance rate. The College’s Alpha Iota Chi Chapter will receive eight Phi Theta Kappa graduation stoles for use during spring commencement. REACH is short for Recognizing Excellence in Acceptance and Completion with Honors. More than 400 Phi Theta Kappa chapters met or exceeded a 15 percent membership acceptance rate in 2016. The hard work of these chapters led to an overall acceptance rate of 13.2 percent – the highest in the Society’s history. To find the acceptance rate of each chapter, PTK divided the number of students accepting membership by the number of students eligible for membership during 2016. Also, the acceptance rate is weighted based on each individual college’s enrollment. To further the recognition, advisors, and members of these chapters will also receive REACH Chapter Ribbons upon arrival at PTK Catalyst set April 6-8, 2017 in Nashville, Tenn.
For more information about the Northeast State chapter, contact Jane Honeycutt at 423.354 /2596 or jbhoneycutt@NortheastState.edu. 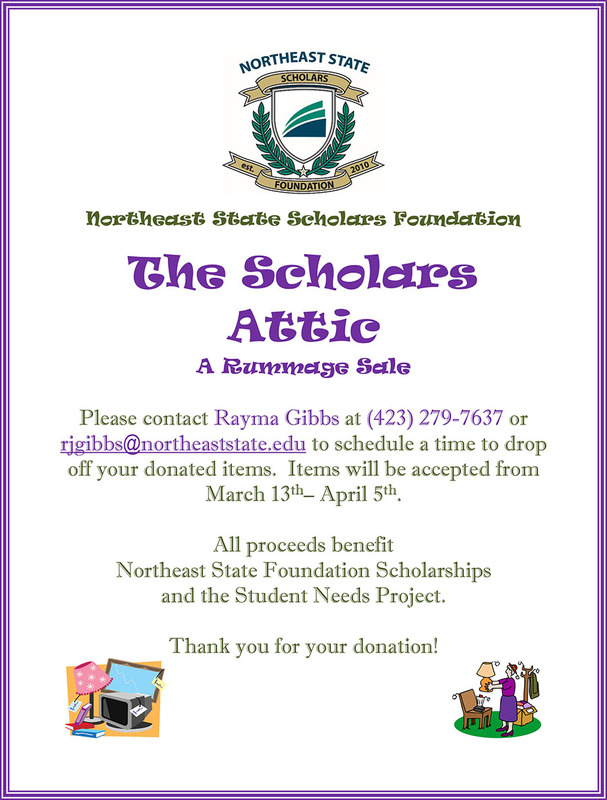 Get the goods and do some good for college students at the upcoming Scholars Attic Sale sponsored by the Northeast State Community College Scholars Foundation. All proceeds from the sale benefit Northeast State Foundation Scholarships awarded to students and the Student Needs Project. The Scholars Attic Sale is scheduled Thursday, April 6, from 9 a.m. until 6 p.m. and Friday, April 7, from 9 a.m. until 2:30 p.m. The sale is being held in the Faculty/Staff Dining Room, A110 of the Student Services Building on the College’s Blountville campus, next to Tri-Cities Regional Airport. The sale is open to the public. Help fund Foundation Scholarships and the Student Needs Project. Shoppers browse a variety of items including adult and children’s clothing, household goods, small appliances, furniture, books, DVDs, and toys. All purchases must be made by either cash or check. Items must be picked up and removed from campus at the time of sale. Northeast State Foundation Scholarships are competitive scholarship awards based primarily on academic merit with consideration given to a student’s major, county of residence, and leadership skills among other selection criteria. The Student Needs Project provides help for students facing non-academic and socioeconomic factors that impact their lives and ability to attend college. The Project directs campus initiatives focusing on food security, resource development, emergency funds, and transportation. For more information about the sale, contact the College’s Office of Scholarship Programs and Student Needs at 423.279.7637 or scholarships@NortheastState.edu.